By local designer Shelley O'Brien. Pattern includes easy-to-follow paper piecing instructions for beginners. 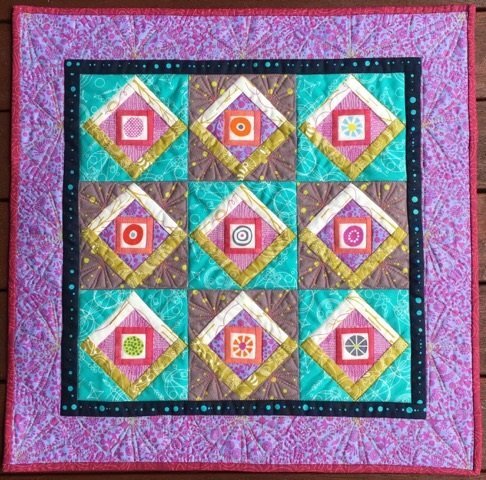 This little quilt works up quickly! Finished size ~ 19"x19" with 4.5" finished blocks.